Craig Mackinlay MP has called for better education for young people, stricter penalties for drug pushers and abstinence-based rehabilitation for drug addicts. 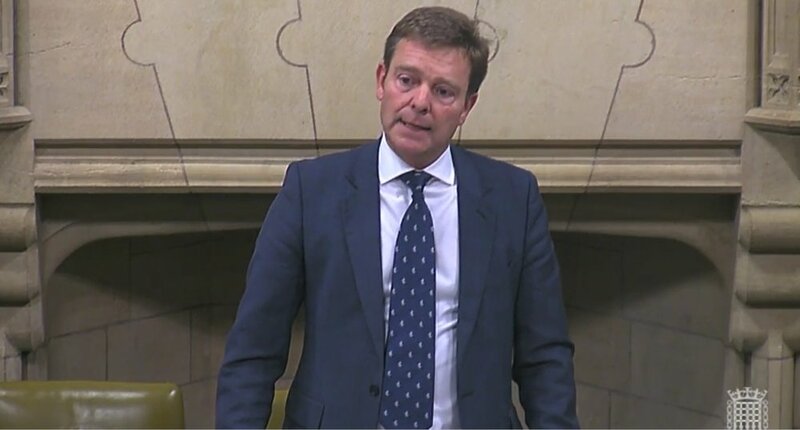 The South Thanet MP made the remarks to the Health Minister, Philip Dunne MP, in a parliamentary debate yesterday on the financial and human costs of drug dependency. Craig, who is Chairman of the All Party Parliamentary Group (APPG) on Cannabis: Harmful Effects on Developing Brains, has long been concerned about the dangers and costs to society posed by drug use which stem from the many years he has sat as a magistrate in Kent. During the course of the debate, Craig also questioned official figures that suggest drug misuse in England and Wales has fallen significantly over the past decade. Craig claimed that the apparent reduction in drug abuse was because illegal drug use is not always taken seriously by some police forces. The full debate can be viewed here: https://goo.gl/3c152D. “Drug misuse and addiction damages physical and mental health, and ultimately causes death. We must do all we can to combat this scourge in society. “The real trigger for calling the debate was the rising death toll from the misuse of drugs in the USA. The number of opioid deaths in America last year, for example, was 65,000 – a lot of these were caused by the rise of artificially produced heroin derivatives, notably fentanyl. These deaths are on a biblical scale. “Unless we have a strategy to deal with a similar problem in the UK, I fear we could see massive increases in the human and financial costs of drug abuse here. “The warning signs are present: in my county of Kent, for instance, we are already seeing an increase in drug driving: from 8 drug driving accidents resulting in 10 casualties in 2007; to 38 drug driving accidents resulting in 60 casualties in 2016. “The current drugs strategy is, I feel, disjointed and disparate and so I feel we need to concentrate on three principal areas. Firstly, we need better education with an emphasis on drug prevention available to our young people. Secondly, we need stricter penalties for drug dealers. Thirdly, we need a greater emphasis on abstinence-based rehabilitation centres for addicts – and in the knowledge that every £1 spent on drug treatment saves £2.50 in costs to society.